The process of constructing transportation infrastructure is more complicated than ever. Projects are bigger, more innovative, and “smarter,” with higher performance standards. 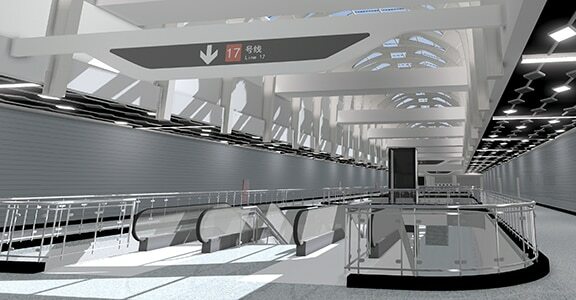 China Railway Construction Engineering, China’s largest engineering contractor, uses Building Information Modeling (BIM) to connect teams and meet the challenges of high-speed rail, urban rail, highway, bridge, and tunnel projects. Once a market town on the Silk Road, and still a gateway from China’s heartland to Central Asia, Lanzhou is the capital of Gansu Province in western China. 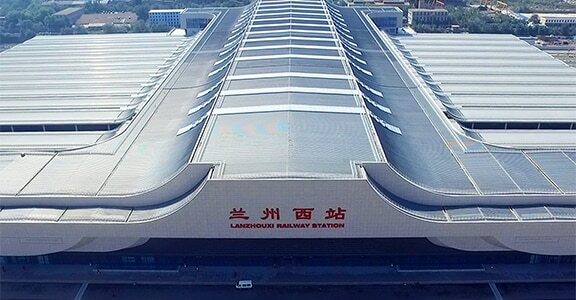 For the Lanzhou Railway Hub project, China Railway Construction Engineering built an ultramodern transportation hub that brings together high-speed rail, suburban rail, urban rail, and bus stations beneath a massive, soaring ceiling. Located in Lanzhou’s rapidly growing Quilihe District, the structure required exceptional planning and execution to build. The company used BIM to keep the entire project team connected to one another and to the 3D model. By making it simple to understand precise design details—as well as to communicate and collaborate—BIM helped to facilitate everything from planning and construction simulation to project and schedule management. 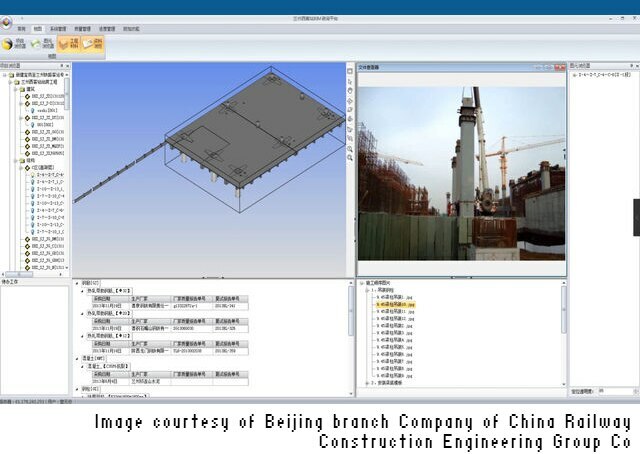 China Railway Construction Engineering set up a Wi-Fi network on the construction site, giving stakeholders in the field mobile access to the intelligent model via cloud technology. 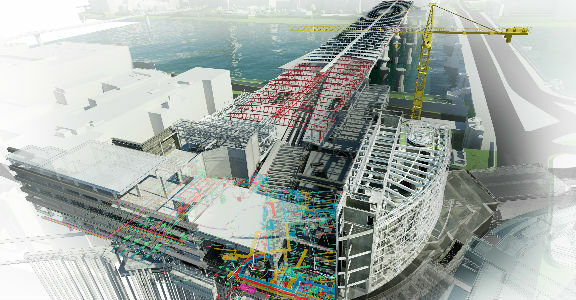 By enabling managers to communicate information and track problems in the field—and by giving field workers access to the 3D model so they could visualize their work—BIM drove coordination and efficiency across the construction process. Through BIM, the company could find design errors before beginning construction. The technology enabled better simulation and testing of structural elements—as well as better planning, scheduling, and project management. It also simplified the installation of mechanical and electrical elements. In so doing, project costs decreased significantly. 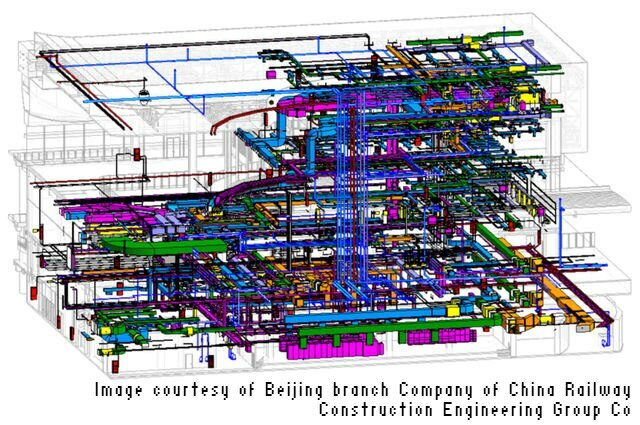 By using BIM, China Railway Construction Engineering was able to give teams a more complete understanding of the Lanzhou Railway Hub project and how to build it—and better ensure that a complex job site ran smoothly. As BIM helped to eliminate clashes and avoid slowdowns and rework, the company shaved nearly 40% from the original project timeline and saved significant sums of money. In addition, BIM smoothed the handoff to facility operations and management, shortening from 2 months to 10 days the time it took to transition from the construction phase of the project to the operation phase. 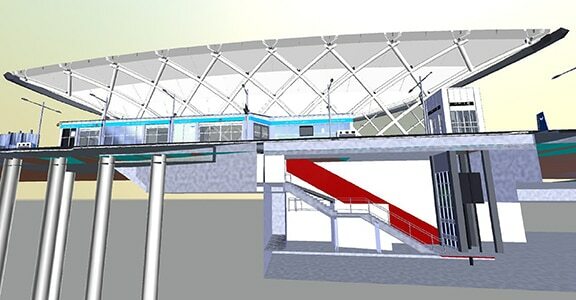 With BIM, the company is building the future of transportation today. Using BIM to connect a large extended team and provide a high level of detail and insight translated into greater collaboration, reduced waste, and other efficiencies—slashing the project timeline by 25% and the project cost by 30%. Using BIM, the firm visualized and analyzed traffic flow, impact on commuters, and environmental challenges in 3D, allowing the team to choose the best option for expansion. 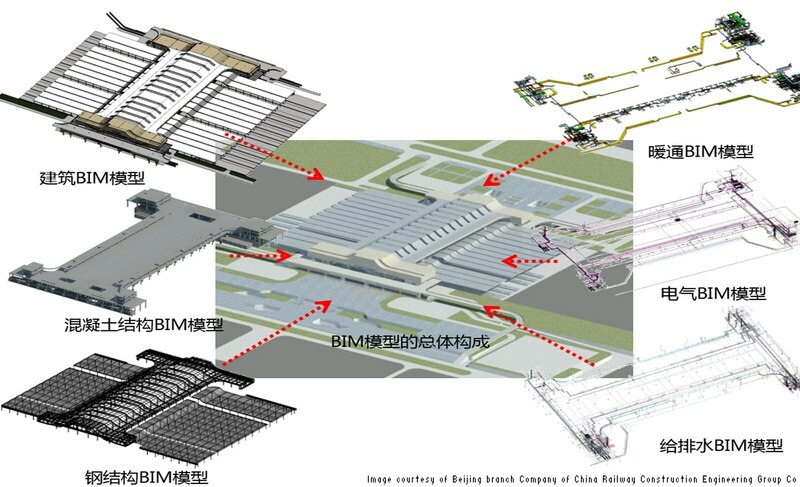 China Railway Construction Engineering uses BIM workflows for advanced simulation, planning, and testing of structural elements, saving time and money.